What is the fine-tuning argument for God’s existence, and does the multiverse counter it? One of the best arguments for the existence of a Creator and Designer of the universe is the cosmic fine-tuning argument. The argument argues that individual constants and quantities in nature cannot be much smaller or larger than they are, because it would remove the ability of the universe to support life of any kind. Dr. Michael Strauss, an experimental physicist, explains some examples of the fine-tuning in a recent post on his blog. I liken the finely-tuned universe to a panel that controls the parameters of the universe with about 100 knobs that can be set to certain values. If you turn any knob just a little to the right or to the left the result is either a universe that is inhospitable to life or no universe at all. Consider the knob that controls the strength of the strong nuclear force that holds quarks inside the neutrons and protons and binds the nucleus of the atom together. If the strength were increased by 2%, the element hydrogen would be either non-existent or very rare. Without hydrogen there would be no water (H2O) or stars that burn hydrogen as their nuclear fuel like our sun. Without hydrogen there would be no life. If the strength of the strong nuclear force were decreased by about 5%, then hydrogen would be the only element in the universe. That would simplify the periodic table and make Chemistry class very easy, but it would render life impossible. All known life in this universe is based on the element carbon, which is formed in the final stages of a star’s life. The carbon you and I are made of is the result of the nuclear processes that occurred as previous stars ended their lives. One nice recent study showed that if the mass of the quarks that make up neutrons and protons were changed by just a few percent, then the process that makes carbon as stars die would be altered in such a way that there would not be sufficient carbon in the universe for life. The masses of the lightest sub-atomic quarks are the precise value that is required for carbon to form and for life to exist. The… conjecture that there are many other worlds… [T]here is no way they can prove this conjecture. That same uncertainty disturbs many physicists who are adjusting to the idea of the multiverse. Not only must we accept that basic properties of our universe are accidental and uncalculable. In addition, we must believe in the existence of many other universes. But we have no conceivable way of observing these other universes and cannot prove their existence. Thus, to explain what we see in the world and in our mental deductions, we must believe in what we cannot prove. Sound familiar? Theologians are accustomed to taking some beliefs on faith. Scientists are not. All we can do is hope that the same theories that predict the multiverse also produce many other predictions that we can test here in our own universe. But the other universes themselves will almost certainly remain a conjecture. The multiverse is not pure nonsense, it is theoretically possible.But even if there were a multiverse, the generator that makes the universes itself would require fine-tuning, so the multiverse doesn’t get rid of the problem. And, as Lightman indicates, we have no independent experimental evidence for the existence of the multiverse in any case. Atheists just have to take it on faith, and hope that their speculations will be proved right. Meanwhile, the fine-tuning is just as easily explained by postulating God, and we have independent evidence for God’s existence, like the the origin of biological information, the sudden appearance of animal body plans, the argument from consciousness, and so on. Even if the naturalists could explain the fine-tuning, they would still have a lot of explaining to do. Theism (intelligent causation) is the simplest explanation for all of the things we learn from the progress of science. It’s very important to understand that if these values were any different, then it’s not like we would bridges on our foreheads, or have green skin, or have pointy ears, etc. That’s what science fiction teaches you. And many atheists form their view of science by watching science fiction entertainment. But the truth is that the consequences of changing these values are much more consequential: no stars, no planets, no hydrogen, no heavy elements, the universe re-collapses into a hot fireball. You’re not going to have complex, embodied intelligent agents running around making moral decisions and relating to God in a world like that. Questions like the existence of God should be NOT decided by feelings and faith and superstitious nonsense. They ought to be decided by evidence. Specifically, scientific evidence. Everyone has to account for this scientific evidence for fine-tuning within their worldview, and they have to account for it in a way that is responsible and rational. Punting to the multiverse, without any evidence for it, is neither rational nor responsible. Holding out hope that the evidence we have now will all go away is neither rational nor responsible. By the way, if you are looking for a good book on the cosmic fine-tuning, especially for evangelism and debating with atheists, you really need to get a copy of “A Fortunate Universe“. Although it is from one of the most prestigious academic presses, it is pretty funny to read, and the main points are made clearly, even if you don’t understand the science. 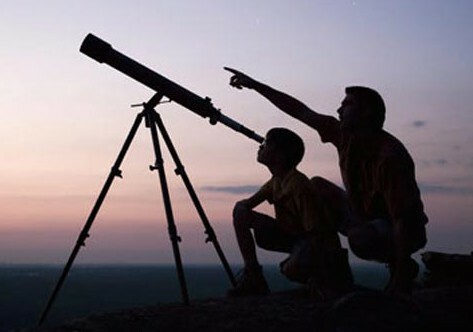 Two astrophysicists wrote it – one who believes that God is the best explanation of the fine-tuning, and one who doesn’t. I really think that Christians need to get used to the idea that evangelism can be pretty easy, so long as you are arguing from peer-reviewed facts. When you get a good book on evidence for God that is not in dispute, then you are invincible. Everybody ought to believe in God in a universe with this much overt scientific evidence spilling out everywhere. Whether this Creator and Designer is the God of the Bible, who visited us as Jesus of Nazareth, takes more work to establish. Working through the emotional objections people have to God, and coaching them to take on the difficulties of living out a authentic Christian life (very unpopular! ), is even harder. Previous PostHow to avoid choosing a charming, deceitful narcissist for a spouseNext PostAre Nordic countries succeeding with socialism like Bernie Sanders says? CO2 makes up <0.04% of the earth's atmosphere. AGW proponents are afraid a 0.1% increase in THAT number is going to end the earth as we know it. I would think ALL AGW proponents would also be proponents for the Fine Tuning Argument. What's interesting is most data is presented in ppm (396 ppm) or billions of tons of CO2. Large numbers show (scare) better, I guess. Paul Davies has moved from promoting atheism to conceding that “the laws [of physics] seem themselves to be the product of exceedingly ingenious design” (Superforce, p. 243). He further testifies, “There is for me powerful evidence that there is something going on behind it all? it seems as though somebody has fine-tuned nature’s numbers to make the Universe? The impression of design is overwhelming” (The Cosmic Blueprint, p. 203). Yes, indeed. He’s not all the way there, but at least he sees the problems that nature poses for naturalists. Here’s a question I submitted to Reasonable Faith, and I’m curious how you would answer it. Whenever people talk about fine-tuning, they always seem to mean that the universe is fine tuned FOR LIFE. But it seems to me that any combination of values for the constants would’ve yielded a universe with some unique property. With that being the case, would any universe at all be fine-tuned for that unique property and therefore require a designer? It doesn’t seem so because the constants had to have SOME value, and ANY value they had would’ve resulted in something unique. So why is life always cited as the thing for which the universe is finely tuned? And why does the fine tuning of the universe for life require a designer when the fine tuning for any other unique feature of any other universe does NOT require a designer? It doesn’t matter that any permutation of constants and quantities results in a UNIQUE result. It matters whether the UNIQUE result is life-permitting. The vast, vast majority of possible settings are NOT LIFE-PERMITTING. It’s not that they don’t permit life as we know it, it’s that they don’t permit life of any kind. So for example, if the strong force is too weak, then hydrogen would not bond to helium, and we would have a universe fille with only hydrogen. You cannot make complex life with only hydrogen. Another example, if the mass density of the universe is too great, then the expansion of the universe will slow and reverse, and the universe re-collapsees into a hot-fireball. You cannot make complex life in a universe that has recollapsed into a hot fireball. needless to say, I was immediately assailed, mocked and ridiculed for being so stupid. But I responded patiently, posting many links of scientists to affirm religious faith and why. My critics simply refused to engage those arguments. Why does my claim that there is a sound, evidence-based, rational basis for Christian faith make all of you so angry? That you disagree I get, but why so mad about it? This is nothing but a Facebook thread, for Pete’s sake! I have posted links to or cited practicing, highly-credentialed scientists who profess religious faith, and none of you engage them at all. Instead, you attack me personally for simply stating my position. You do not engage but simply insult and dismiss. I pity you. I truly do. Good job you. Space.com is heavily into the science fiction: multiverse and aliens. There is a God, and they are morally accountable to Him.